Nick Giambruno: Welcome, Jim. 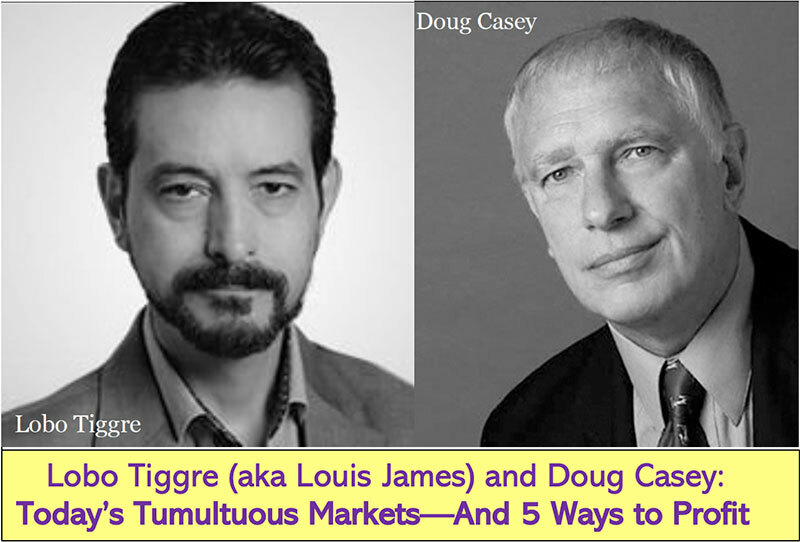 As you know, Doug Casey and I travel the world surveying crisis markets, and we always like to get your take on things. Today I want to talk to you about Russia, which is a very hated market right now. What are your thoughts on Russia in general and on Russian stocks in particular? Jim Rogers: Well, I’m optimistic about the future of Russia. I was optimistic before this war started in Ukraine, which was instigated by the US, of course. But in any case, I bought more Russia during the Crimea incident, and I’m looking to buy still more. Unfortunately, what’s happening is certainly not good for the United States. It’s driving Russia and Asia together, which means we’re going to suffer in the long run—the US and Europe. Another of the big four Chinese banks opened a branch in Moscow recently. The Iranians are getting closer to the Russians. The Russians recently finished a railroad into North Korea down to the Port Rason, which is the northernmost ice-free port in Asia. The Russians have put a lot of money into the Trans-Siberian railroad to update it and upgrade it, all of which goes right by China. Usually, people who do a lot of business together wind up doing other things together, such as fighting wars, but this isn’t any kind of immediate development. I don’t think the Russians, the Chinese, and the Iranians are about to invade America. 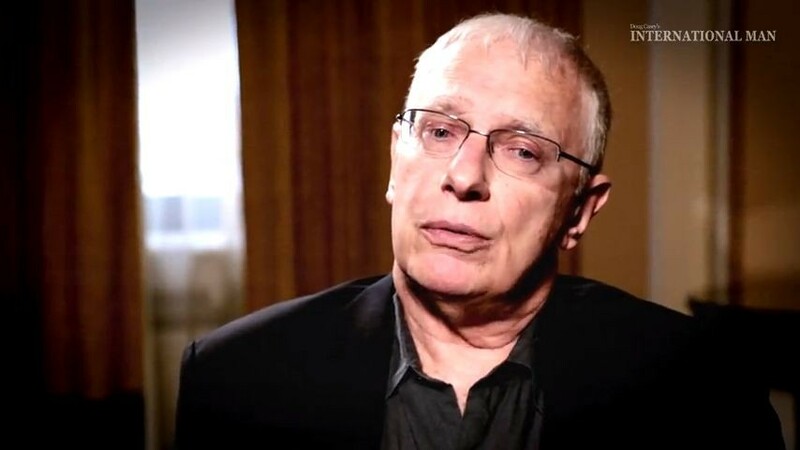 Nick: So because of these economic ties to Asia, the Russians are not as dependent on the West. Is that why you’re optimistic about Russia? Jim: I first went to the Soviet Union in 1966, and I came away very pessimistic. And I was pessimistic for the next 47 years, because I didn’t see how it could possibly work. But then I started noticing, a year or two ago, that now everybody hates Russia—the market is not at all interesting to anybody anymore. You may remember in the 1990s, and even the first decade of this century, everybody was enthusiastic about Russia. Lots of people had periodic bouts of huge enthusiasm. I was short the ruble in 1998, but other than that, I had never invested in Russia, certainly not on the long side. But a year or two ago I started noticing that things are changing in Russia… something is going on in the Kremlin. They understand they can’t just shoot people, confiscate people’s assets. They have to play by the rules if they want to develop their economy. Now Russia has a convertible currency—and most countries don’t have convertible currencies, but the Russians do. They have fairly large foreign currency reserves and are building up more assets. Having driven across Russia a couple of times, I know they have vast natural resources. And now that the Trans-Siberian Railway has been rebuilt, it’s a huge asset as well. So I see all these things. I knew the market was depressed, knew nobody liked it, so I started looking for and finding a few investments in Russia. Nick: Yeah, that definitely seems to make sense when you look at the sentiment and long-term fundamentals. So where do you see the conflict with Ukraine and the tensions with the West going? Jim: Well, the tensions are going to continue to grow, at least as long as you have the same bureaucrats in Washington. You know, they all have a professional stake in making sure that things don’t calm down in the former Soviet Union—so I don’t see things getting better any time soon. People are starting to reexamine the propaganda that comes out of Washington. Even the Germans are starting to reassess the situation. I suspect that things will cool off eventually, because the US doesn’t have much support and they’ve got plenty of other wars they want to fight or are keen to get started. So Russia will become more and more dominant in Ukraine. The east is more or less Russian. Crimea was always Russian until Khrushchev got drunk one night and gave it away. So I suspect you will see more and more disintegration of Ukraine, which by the way is good for Ukraine and good for the world. We don’t complain when the Scots have an election as to whether they want to leave the UK or not. People in Spain want to leave. We say we’re in favor of self-determination. We let Czechoslovakia break up, Yugoslavia break up, Ethiopia break up. These things are usually good. Many borders that exist are historic anomalies, and they should break up. Just because something happened after the First World War or Second World War and some bureaucrats drew a border doesn’t mean it’s logical or should survive. So I suspect you will see more of eastern Ukraine becoming more and more Russian. I don’t see America going to war, I certainly don’t see Europe going to war over Ukraine, and so America will just sort of slowly slide away and have to admit another miscalculation. Nick: I agree. Would you also say that Europe’s dependence on Russia for energy limits how far the sanctions can go? There’s been speculation that the Europeans are going to cut Russia out of the SWIFT system, like they did with Iran. Jim: Well, anything can happen. I noticed SWIFT’s reaction when America tried to force them to do that: they were not very happy at all. I’m an American citizen like you, and unfortunately the bigger picture is forcing the Russians, the Chinese, and others to accelerate in finding an alternative. That is not good for the US. The Americans have a monopoly, because everyone who uses dollars has to get them cleared through New York. People were already starting to worry in the past few years about the American dominance of the system and its ability to just close everything down. So now the Russians and Chinese and others are accelerating their efforts to find an alternative to SWIFT and to the American dollar and the dominance of the US financial system. As I said earlier, none of this is good for the US. We think we’re hurting the Russians. We are actually hurting ourselves very badly in the long term. Nick: I think one area where you can really see this is that the US essentially kicked Russia out of Visa and MasterCard. And what did Russia do? They turned to China UnionPay, which is China’s payment processor. Jim: We could go on and on. There are things that have happened, and everything is underway now because Putin has told everybody, “Okay, we’ve got to reexamine our whole way of life that has evolved since the Berlin Wall fell,” and that’s one of the things. By the way, the Chinese love all of this. It’s certainly good for China. It’s not good for the US in the end, but it’s great for China and some Asian countries, such as Iran. Nothing we have done has been good for America since this whole thing started—nothing. Everything we’ve done has been good for the Chinese. Nick: So why are they doing it? Jim: You know as well as I do: these are bureaucrats who shouldn’t be there in the first place. Power corrupts, and it has. You look at the beginning of the First World War, the Emperor, who was 85 years old at the time, made nine demands on the Serbians. Serbia met eight of his demands. For whatever reason they couldn’t meet the ninth. And so they said, “Okay, that’s it… war.” And then everybody was at war. The bureaucrats everywhere piled in with great enthusiasm—great headlines about how the war will be over by Christmas. By the way, whenever wars start, the headlines always say the war will be over by Christmas, at least in Christian nations. But six months after that war started, everybody looked around and said, “What the hell are we doing?” This is madness. Millions of people are being killed. Billions of dollars are being lost. This is not good for anybody. And why did it start? Nobody could even tell you why it started, but unfortunately it went on for four years with massive amounts of destruction, all because a few bureaucrats and an old man couldn’t get their acts together. None of that was necessary. Nearly all wars start like that. If you examine the beginning of any war, years later you ask, “How did it happen? Why did it happen?” And usually there’s not much explanation. The winners write history, so the winners always have a good explanation, but more objective people are usually confused. Nick: Excellent points that you make, Jim. I want to shift gears a little bit. I know you’re a fan of agriculture, and parts of Russia and Ukraine are among the most fertile regions in the world. Investing there is a nice way to get into agriculture and also Russia at the same time. What do you think about companies and stocks that own and operate farmland in that region? Jim: Well, historically you’re right. Ukraine was one of the major breadbaskets of the world, and some of those vast Russian lands were great breadbaskets at times in history. Communism can and does ruin everything it touches. It ruined Soviet agriculture, but many of those places have great potential and will revive. I haven’t actually gone and examined the soil myself to see that it’s still fertile, but I assume it is because you see the production numbers. That part of the world should be and will be great agricultural producers again. It’s just a question of when and who. By the way, I have recently become a director of a large Russian phosphorous/fertilizer company, partly for the reasons you’re discussing. Nick: We were talking about Russia and Iran. I’ve had the chance to travel to Iran. It has a remarkably vibrant stock market, all things considered. It’s not heavily dependent on natural resources. They have consumer goods companies, tech companies, and so forth. Do you see the potential for Iran to open up anytime soon, maybe a Nixon-goes-to-China moment? Jim: I bought Iranian shares in 1993, and over the next few years it went up something like 47 times, so it was an astonishing success. I got a lot of my money out, but some of it is still trapped there. I don’t know if I could ever find it, but I took so much out it didn’t really matter. Yes, I know that there’s an interesting market there. I know there’s a vibrant society there. I know huge numbers of Iranians who are under 30, and they want to live a different life. It is changing slowly, but it’s in the process. Part of it, of course, is because the West has characterized them as demons and evil, which makes it harder. I was never very keen on things like that. Throughout history and in my own experience, engagement is usually a better way to change things than ignoring people and forcing them to close in and get bitter about the outside world. So I don’t particularly approve of our approach or anybody’s approach to Iran. I certainly don’t approve of old man Khamenei’s approach to Iran either. There were mistakes made in the early days on both sides. But that’s all changing now. I see great opportunities in Iran. If they don’t open to the West, they’re going to open to Asia and to Russia. There are fabulous opportunities in Iran, with over 70 million people, vast assets, lots of entrepreneur-type people, smart people, and educated people. Iran is Persia. Persia was one of the great nations of world history for many centuries. So it’s not as though they were a bunch of backward people sitting over there who can’t read or find other people on the map. Persia has enormous potential, and they will develop it again. Nick: I completely agree, and we’re looking at Iran closely, too. If the West doesn’t open up to Iran, it’s going to lose out to the Chinese and the Russians, who are going to gobble up that opportunity and really eat the Americans’ lunch. Of course with the sanctions, it’s pretty much illegal for Americans to invest in Iran right now. Jim: That wasn’t always the case. Years ago, if the investment was less than a certain amount of money, and some other things, there were no problems. I don’t know the details of the current law. Nick: It’s difficult to keep up with, because the story is constantly changing. Jim: Well, that’s the brilliance of bureaucrats; they always have something to do. It gives them ongoing job security. Nick: Exactly. Another place we have on our list is Kurdistan. Jim: The Kurds have been a pretty powerful group of people for a long time. I hope they can pull it together. An independent Kurdistan would be good for Turkey and good for everybody else. Unfortunately, again, you have all these bureaucrats who don’t like change. I’ve certainly got it on my radar, and maybe I’ll bump into you in Iran, or Russia, or Kurdistan, or who knows where. Nick: Sounds good Jim, we’ll be in touch. Editor’s Note: This was an excerpt from Crisis Speculator, which uncovers the deep-value investment opportunities waiting behind the news that frightens others away.